Every fall, SAAZ holds The Commander SAAZ Interplanetary Homebrew Blastoff. 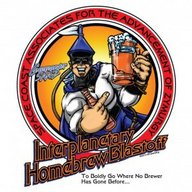 This has been one of the largest homebrew competitions in the Southeast. The competition is highlighted by Commander’s Call Florida Beer Fest and the Splashdown Party where the fun and the beer don’t stop flowing. This year’s event will be held September 16th & 17th at the Cocoa Beach Hilton.